Is it OK for a guest to wear white to a wedding? The "never wear white to a wedding" rule is one of those hard and fast rules of etiquette that pretty well everyone has accepted for a very, very long time. Etiquette rules are shorthand, more concrete ways of conveying an abstract principle designed to make sure that no-one is embarrassed in a social situation. The "never wear white to a wedding" rule is therefore a shorthand and concrete way of conveying to guests an important principle - Never upstage the bride! Underlying this rule are two assumptions that worked well in the 19th Century but which don't necessarily hold true for every wedding in the 21st. 2. that the bride will wear white (or cream, or ivory, or latte, or something in a fairly broad colour range for which white is the lazy description. The bride (or neither of the brides or neither of the grooms) is not going to wear white. Mostly, you won't know that for sure, so this might be a risky justfication. There are religious or cultural reasons for wearing white as a guest. Something you'll either know for sure, or will have been given the heads-up about by the couple themselves. If none of the above apply, and you have a white/cream/ivory dress that you are dying to wear, what can you do about it? The obvious solution, suggested by the woman in the article, is to add coloured accessories. But in a fashion climate where more and more brides are accessorising their wedding gowns with black or coloured shoes, this can be a risky path to take. It has to be more than shoes, and whatever you accessorise with should be something that you continue to wear for the reception as well. While brightly coloured shoes and a brightly coloured wrap, jacket, hat, or fascinator might feel like enough when you're standing in front of a mirror, if everything except the shoes come off for the reception, you're back to wearing white again! And a last thought. Depending on the denomination and the liturgical calendar, clergy may wear white. Everyone accepts that and it is a whole different (and irrelevant) situation. As a celebrant would I ever wear white to officiate a wedding? Simple answer, no. Unless of course, I'm specifically asked to do so. 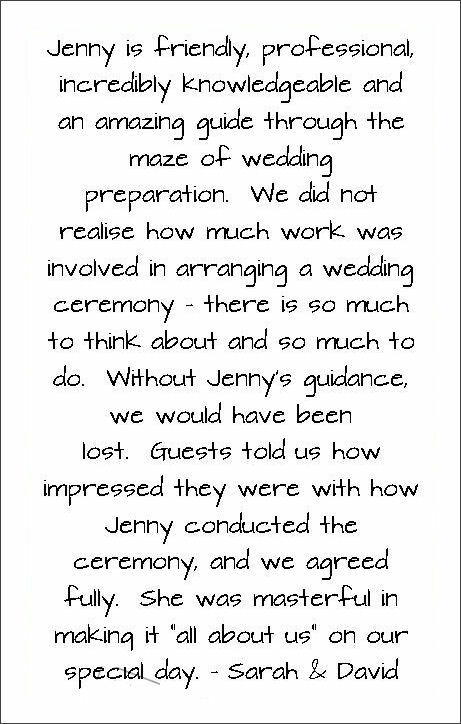 And that has happened for a previous wedding where I conducted a short civil ceremony at the end of the traditional Parsee ceremony. Wearing white was the culturally correct thing to do. Both bride and groom wore white together with very large garlands of red roses. I will also be wearing white at an upcoming wedding where the marrying couple are both wearing the same colour, and it is not white, and they have specifically asked me to wear white instead of my usual "blend in with the groomsmen" black, dark grey, or navy.